The recent wide coverage in the media about the "Karoshi" crisis ("working to death" in Japanese) has aroused the interests of the public and employers to learn more about labour regulations in Japan. Both employers and employees have the obligation to understand certain rights and protections when it comes to overtime work. Tips on measuring and monitoring overtime work and its precautions. 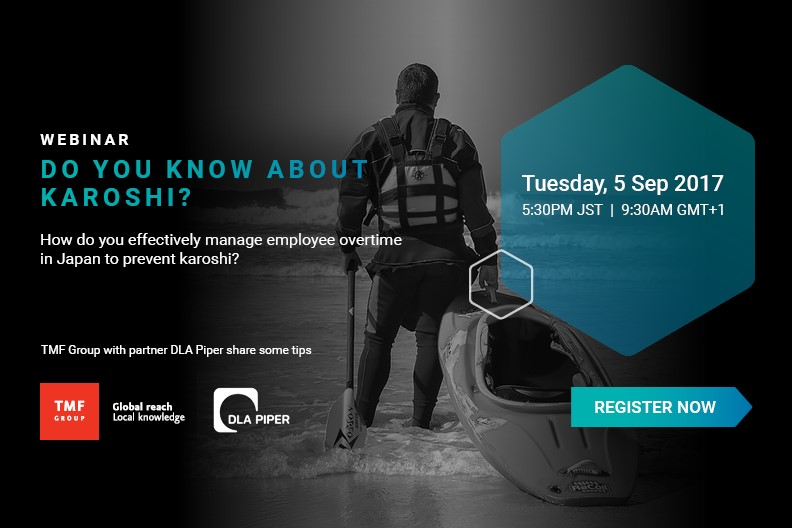 With the recent news about Japan's unemployment rate reaching its lowest level in 20 years, our experts will also discuss how this would affect the overtime culture and what authorities can do to help improve it. The following speakers from TMF Group and DLA Piper will share their knowledge and practical experience during this webinar. Lawrence Carter assists clients with labour and employment matters, including reductions in force, terminations and harassment investigations. He advises Fortune 500 global clients with respect to contentious labor claims involving issues such as allegations of wrongful termination (or unjust removal of directors), harassment (sexual harassment and power harassment), non-payment of overtime and misclassification of independent contractor status. Lawrence has also advised several global companies with respect to creating global HR policies. Specialising in global HR shared services, systems and business process outsourcing, Cameron has worked in both government and private sector, with extensive experience in working as a provider and buyer of outsourcing services. He has managed multi-million dollar, HR corporate initiatives, projects, agreements and services through all business process outsourcing life-cycle phases. If you would like to ask any questions related to this subject, please send your questions in advance to info.apac@tmf-group.com.